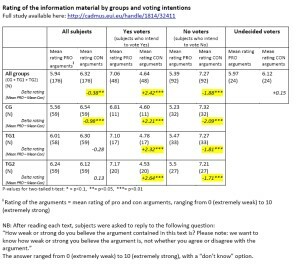 The following table provides further clarification on why the results of our study cannot be driven by the fact that pro-independence arguments were more convincing than opposite arguements. 2. This correlation does not apply to undecided voters. In this case, arguments from both sides are evaluated almost as equally strong, and the difference in the rating is not statistically significant. 3. If all subjects are considered, the difference in the rating is small and statistically significant only at the aggregated level (all groups) and in the control group (CG). 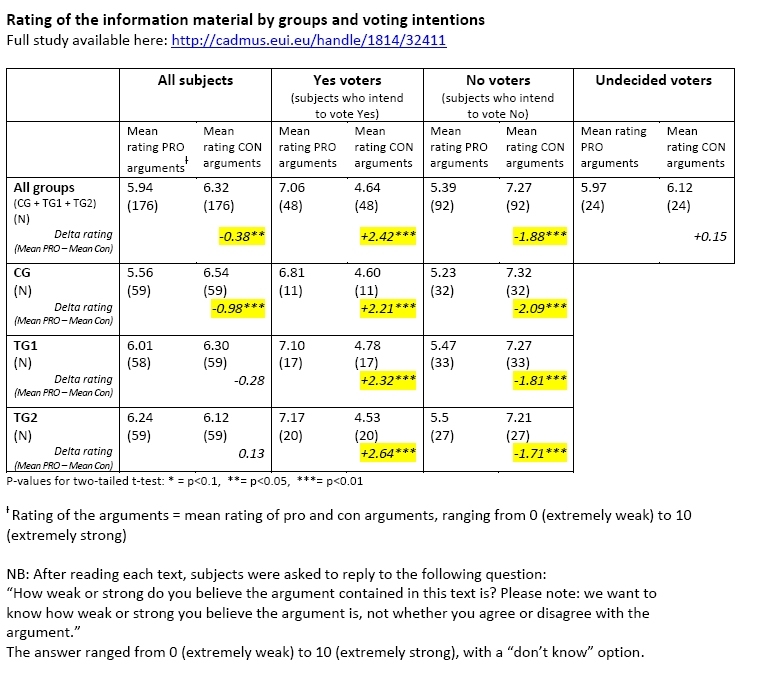 However, in both these two cases pro-independence arguments are evaluated as less convincing than against-independence arguments, thus ruling out the possibility that the increase in the likelihood to vote Yes is actually driven by pro-arguments being more convincing than the opposite arguments.